The Tesco Chester Superstore branch has worked with a dementia focus group to create a checkout which aims to provide clarity and ease of use for those living with dementia. A Tesco store has redesigned a checkout to make it easier to use for people living with dementia. 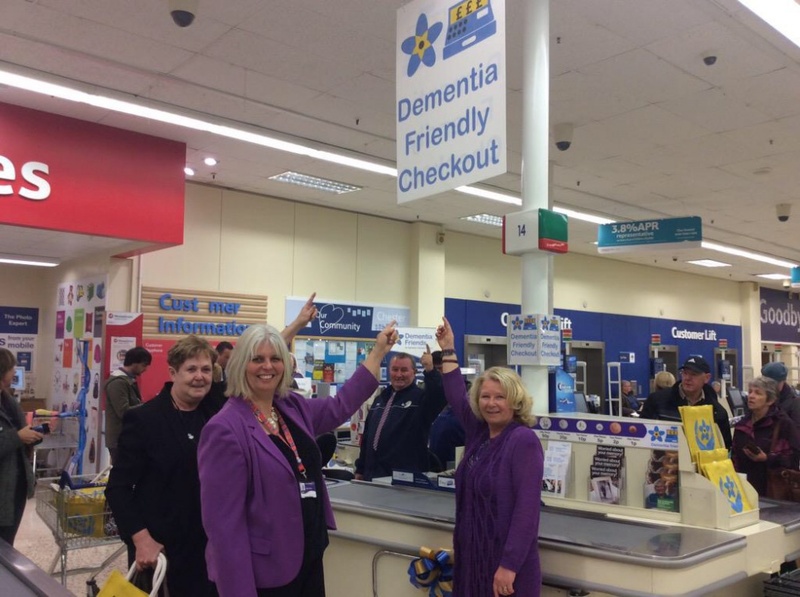 The checkout adapted to be “dementia-friendly” is at the Tesco Chester Superstore, and was created in collaboration with focus group #DementiaDO. 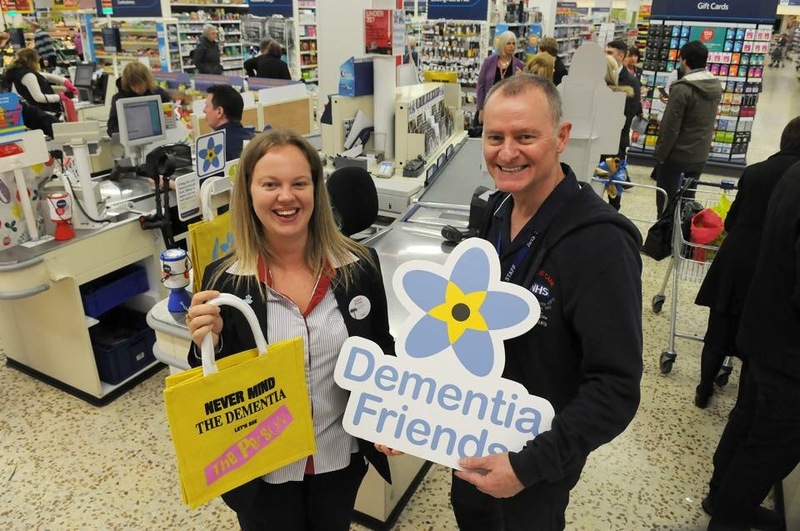 Andy Tysoe, a memory nurse at the Countess of Chester Hospital and member of Alzheimer’s Society initiative Dementia Friends, led the project alongside Tesco Chester’s compliance manager Hayley Sale, and the communications team. The redesign includes new signage with “clear, basic fonts”, a “simple message” and the use of “contrasting colours” to enable the images and words to be distinct, says Tysoe. Design decisions were made after conducting focus groups with people living with dementia. Other signage names were suggested in focus groups, but “Dementia Friendly Checkout” was the most popular suggestion, says Tysoe. The checkout area has also been “decluttered” from last-minute promotional items normally found at tills, such as chocolate and magazines, and replaced with dementia awareness leaflets. 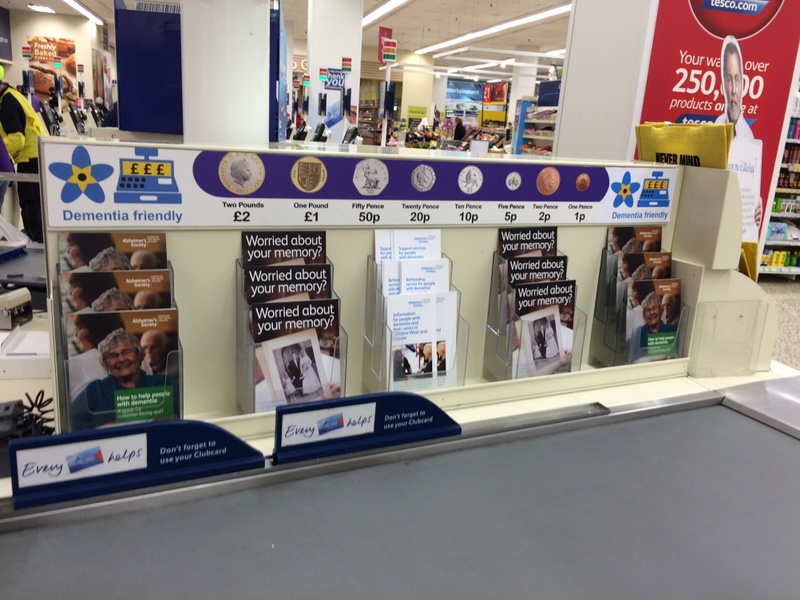 A poster with descriptive imagery of different forms of sterling coin currency has also been added above the checkout, as a memory aid for shoppers. Tysoe hopes to roll out the “dementia-friendly” checkouts in Tesco branches across the North of England, and a Chester branch of Marks and Spencer. Chester Tesco’s is also looking to allocate parking bays to those with dementia and their carers. All images courtesy of Tesco.